Nia Peeples is a newly contributing writer on Bella Petite and will be sharing her industry experience, personal stories and teach us about the elements of life. Nia is our new Lifestyle Editor! Women are fascinating. No other creature on earth can hold down a job, advance a career, raise children, organize a household, get in shape and go organic while simultaneously researching everything from pregnancy to menopause to the stock market and I Movie. Yet no matter how well we spin all those plates, we are intensely driven to do it better, faster, smarter—skinnier—as if by doing so we will someday arrive at a place that is balanced and perfect and then stay there forever. Impossible you say? I think so. Yet every day women ask me how I do it.“ How do you stay fit?” “How do you stay so young looking?” “ How do you manage a career and motherhood so seemingly effortlessly?” Interesting perception. And admittedly, there was a time I thought I could give a very simple and direct answer to those questions. But now that I’m in my forties and have had to actually sustain all that, I’ve a better vantage point. And let me tell you, getting it together is not the same as keeping it together. And keeping it together has more to do with being pliable than being perfect. As my husband says, perfection is a myth. Today’s woman is inundated with the secret ‘how to’s’ of perfection. Just look at all those screaming headlines on the mags at the supermarket checkout line: How to have the perfect thighs, perfect abs, and perfect skin,. How to find the, the perfect home, the perfect diet, the perfect man. The pressure on a woman to discover and implement everything that can make her life “balanced and perfect” is intense. The funny thing is, no matter how much success I had with any of those ‘secrets’, one thing is certain: none of them lasted forever. What worked for me in my twenties didn’t necessarily work for me in my thirties. And what worked for me when I was childless sure as heck didn’t work for me with a toddler in the house. Ironically, the harder I tried to cling to all of those “secrets” the more illusive my happiness became, making the woman’s ability to multi-task, which is one of our greatest assets, now my greatest liability. What I have learned is that life is a growing, breathing thing, as constant as the sea but just as unpredictable. Always moving, always changing. If something in our lives is no longer working, no matter how well it worked before, we have to be willing to let it go and apply what I’ve termed The Three R’s: Reassess, Research, Recommit. And we must do so with all the fervor and faith of a new bride. The more willing we are to live lives open to change, growth and discovery, the more moments of perfection we get to experience. With all due respect to my husband, I don’t think perfection is a myth. I think it’s misunderstood. Perfection is not something we achieve. It is not a destination to arrive at. Perfection is something we move through one moment at time, allowing us to discover it again and again. So how do I do it? My health, beauty and fitness regimens are built upon the belief that success in all of these areas requires the consideration of three things: what you are born with, how you feed it and how you treat it. They are in fact connected. They feed each other. and just as importantly, they are held together, driven and balanced by what I call the Elements of Life, 12 philosophies that I believe are the key to living an authentic, happy life. That is my foundation. Then I apply The Three R’s to every stage of life and to each element: Reassess, Research and Recommit. So yes, I’m developing a skin and beauty routine that can have you looking a decade younger; and a fitness and flexibility program that can get you in the best shape of your life. Yes I can recommend a line of amazing nutritional supplements to help add that glow of good health to the entire package. But just as importantly, I can sometimes miss my work-out, put down that script, spend the late afternoon on the football field with my daughter’s team, the early evening surfing with my family…and happily dive into a hot meal and devilish dessert when we get home. Because for me it’s no longer about reaching for the perfect life—it’s about living a life full of perfection. And that, ladies, is how we do it. 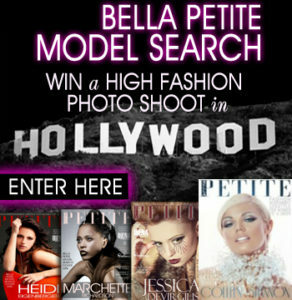 Free trial offer to Bella Petite Magazine. Written by: Nia Peeples! You are wonderful Nia! Thanks so much for this article and being insightful for us. So true! The myth of perfection not reality. Looking forward to your next posts. This is fabulous advice! I can finally assimilate with what some one has to say. thank goodness Bella petite is on top of it. Nia you remind me of being a teenager! Wow what a good article about life and what we can expect as women. Thanks Nia and keep them coming!